Titleist’s SureFit sole weight allows the CG to be positioned in either a draw, fade or neutral position to tailor shot bias to your game. 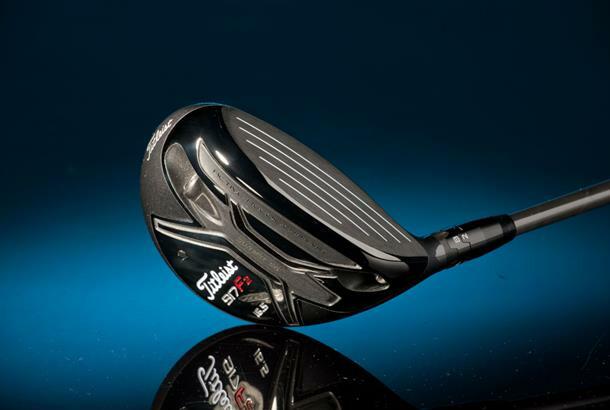 A forgiving larger profile delivers all-round playability with slightly more spin and higher launch than Titleist’s 917 F3. An active recoil channel in the sole and variable thickness face insert preserve ball speed when shots are hit off-centre. We reckon for anyone lucky enough to be a Titleist staff player you’d have no absolutely difficulty working 14 of the brands clubs into your bag, as they’re very solid across the board. Simon’s used a 917 F2 three wood since their launch and seen some real distance and forgiveness gains over his previous fairway. As much as our testers liked the 917 and thought it was very easy to launch off the deck, we can’t hide how it’s the second most expensive fairway we tested. So it’s only fair to expect the F2 to produce some pretty impressive numbers to justify the price tag. Averaged between three testers F2 carried shots right on our test average, which from a ball speed 2mph slower than average which is solid if unexceptional. As you’d expect a very solid fairway from Titleist. From top to bottom it’s really simple and unfussy which slightly better golfers often prefer. If you’re going to pay this much for a fairway make sure you get properly fitted. And remember come August or September 2018 it’s highly likely Titleist’s new wood models will be appearing on the scene.